I like it, too!!! 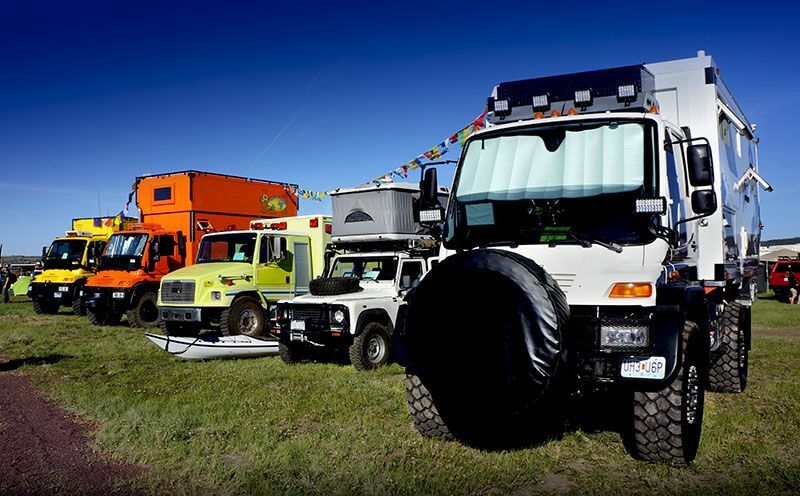 Rather have a Unimog with a popup, but I'd take it if it was given to me. I mean, yes, add me to the give away list too! I'd surely take that problem off their hands, nothing like being neighborly. Then I'm not so sure I want to go camping there! Looks like a C to me, or an oversize B+. A "Super B", as opposed to a Super C? Back in 2006 there was one of these in Yellowstone, with French occupants. They were all over my case because I didn't shut off my Duramax while setting up my fifth wheel, thus I was wasting the earth's resources. Had I not idled the truck while getting off the hitch and leveling, I would have been short battery power in that no hook-up, no gennie world. Finally had to get rude to get them to go away. Tell them you could idle your DMax all night for less fuel than they use to go 50 miles!! Knowing the French, they would have scolded you for showering and using deodorant too! I've often thought those things must be mighty toasty in the desert on a 110F day! See these vehicles all over the world and they are by far the most impractical vehicles you could invent. Apart from the major deserts and of course any Walmart parking lot, they are just too big for most unpaved roads, too heavy for a lot of bridges and too wide for many forest tracks. Mind you, a F350 with Bigfoot camper on the back ends up about the same size and has just as bad a turning circle. A VW camper is easier to travel with but not nearly as comfortable. Try a thought experiment with these machines: As I wandered around the 6,000+ adventure folks I thought of the Expedition motorcycles like Cheetahs, perhaps the TCs were a little like Gnus and Wildebeests, the Rovers like Zebras...but the Unimogs were like Elephants. Unwieldy grazing animals but fun to watch. I know that everyone can make up their own menagerie, since we're missing the predators from this scenario. What was very interesting is that the organizers of the OX5, Jonathon and Roseann Hanson - who are world expedition experts, gave a special presentation of their vehicle: A 2014 Toyota Tacoma - nearly stock - with a custom made 4WheelCamper on the back. In other words, a TC. they are shipping it to South Africa for their journey this fall. I had to move my TC from the rally area because I got pinned in..long story...but I had a little taste of the other behemoths besides the Unimogs. 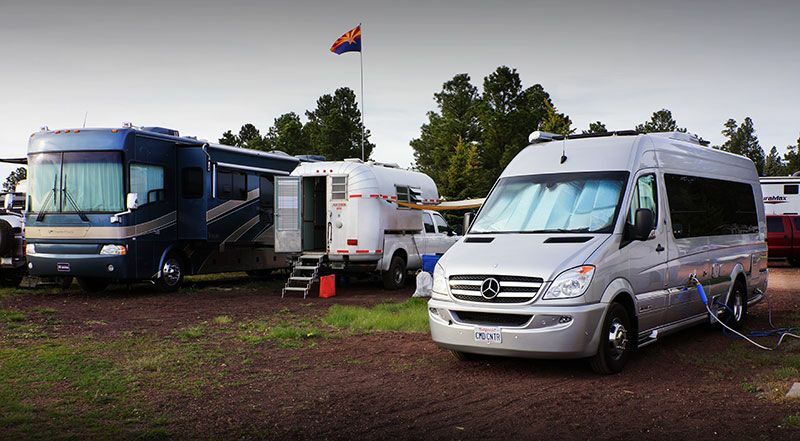 Its why I prefer boondocking or rallying with TCs.